Bryan's genuine concern for others helped him fit right in to our family back in 2010. He comes from an extensive automotive background starting in the early ‘90s! He is ASE certified as a service consultant as well as in Suspension, making him a true asset to the JAC team. Bryan is married to his beautiful wife Charlene, and they have 5 children, Andrew, Bryan, Nicole, Tyler and Matthew. You can find Bryan out fishing or coaching soccer when he is not at the shop. 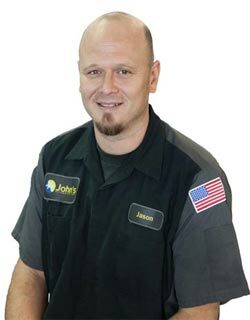 One of our ASE Certified Automotive Technicians, Jason, has been with us since the beginning of 2003. His career in the automotive repair field started back in the late ‘90s. When he started with us, he was fairly new to our industry and had just finished school at Cuyamaca College. Jason met his beautiful wife Melissa while they were both working at JAC. They have 2 daughters, Sidnee and Brooklyn. 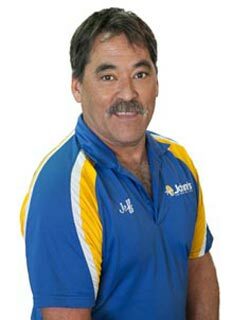 John opened up JAC in April 1998 and was the only employee for the first 3 years. 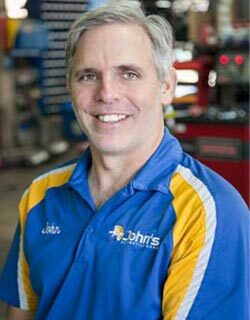 His career in the automotive field started when he turned 16, and he has been working full time ever since 1983. 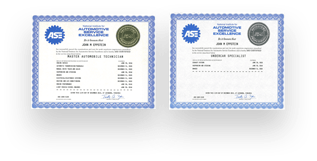 John is an ASE Certified Master Technician, and has been since 1999. When not at the shop, his love for sports takes him from the soccer fields to the OTL courts at Fiesta island. Collecting baseball cards and working with his favorite non profits like The Boys and Girls Clubs of East County and The Automotive Service Councils of California. 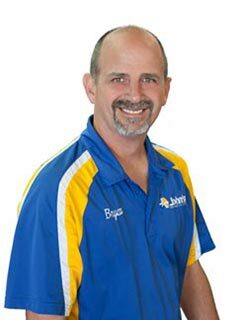 Tony is one of our ASE Certified Master Auto Technicians. He started his automotive career in the mid '90s working at a small shop in Joshua Tree. His drive for perfection and attention to detail is what makes him a great fit to our JAC family. Tony is a single father, and his daughter's name is Breeana. 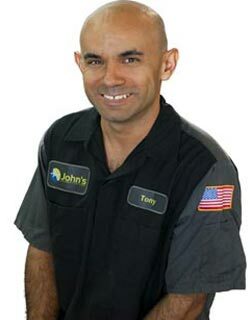 When Tony is not fixing cars, he enjoys off-roading, camping, hiking, and playing the guitar. And if Metallica is playing somewhere he can get to, you will find him in the very front row. Our Customer Service Specialist Jeff can be seen driving around town in our courtesy shuttle. He has been a part of the JAC family since 2015. Whether it's from the shop to work or home, you can always count on him to get you there without a hassle! He also helps to keep things organized and running smoothly throughout the shop. When he is not shuttling customers around town, Jeff finds time to enjoy a little fishing and playing tennis. He is a single dad and has a beautiful daughter named Summer. Laurie has been with us since early 2014. 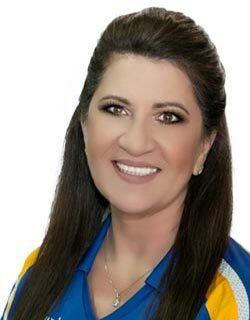 Her positive energy, as well as her care and compassion for our customers, has made her an awesome addition to our automotive family. And speaking of family, Laurie has been married to her wonderful husband Larry for over 25 years! Larry and Laurie have 3 children who happen to be triplets, Jessica, Cameron and Lindsey! 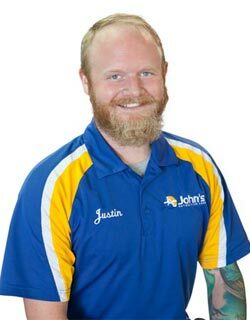 One of the newer members of the JAC family is Justin. 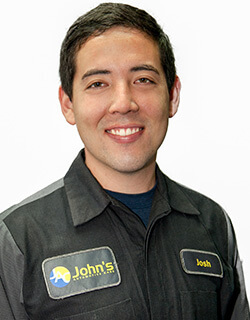 He came to us with only a few years of experience in the automotive field. His ability to handle our customers' needs quickly and efficiently all while wearing a smile is what makes him an exceptional addition to our family. Justin is married to his beautiful wife Joslyn, and together they raise his adorable little girl, Meeya. He also likes riding motorcycles, watching the Padres, and going to the beach. Ben has the most diverse job in the JAC family, who you will catch running around trying to keep the flow going. 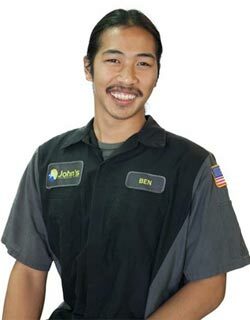 It's Ben's non-stop energy and positive outlook that makes him an outstanding addition to our automotive family. In his spare time, he enjoys going to car meets and riding his sports bike. 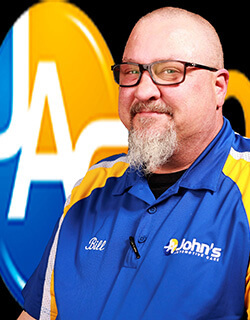 Bill joined JAC in October 2018 as a Service Advisor. He earned a BA in Automotive Technology and has over 32 years of automotive experience. He is the proud father of two girls, Rhiannon and Cassaundra. He enjoys traveling with his wife, Amelia, and has been married for 23 years. His hobbies include skydiving and riding motorcycles on and off road. 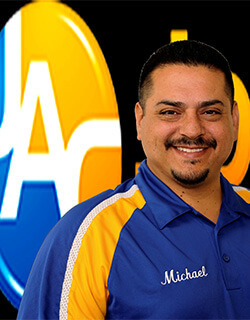 Michael has ASE Certification and has been a Service Writer with JAC since October 2018, with over 27 years of automotive experience. He has three lovely children -- Ivan, Adrian and Marcus -- and enjoys photography, shooting, and working on his automobiles in his free time. He also goes four-wheeling in Ocotillo Wells and Pine Valley. 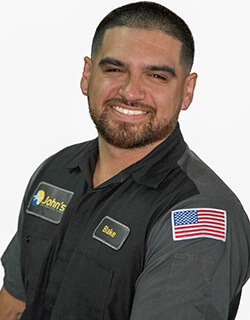 Blake has been working at JAC since early 2018 as one of our Automotive Technicians. He has a lovely fiancée, Brianna, a daughter, Kayley, and two sons, Evan and Julian. His hobbies include fishing, hiking, weightlifting and football. Josh is a Service Assistant and has been with JAC since March 2017. He has Automotive Brakes and Suspension Certifications from Southwestern College. Josh is a lover of the outdoors and enjoys hanging out at the beach. Gaming on his Xbox is also one of his favorite activities. Conner started with JAC in 2014. He enjoys hanging out at the beach, snorkeling in the Blue Pacific, cruising in his vintage cars, playing video games and target shooting. 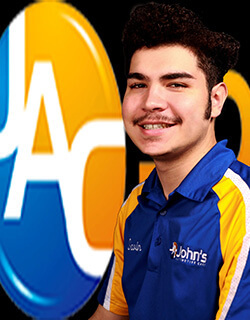 Gavin has been part of the JAC family since October 2018. He enjoys studying and creating visual art, drawing and painting. He also expresses his creative talents by playing is a local Punk Rock band, in addition to hiking in the great outdoors. 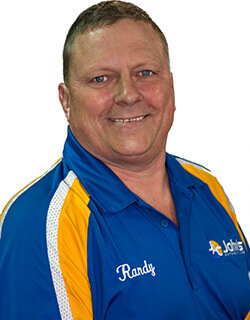 Randy has more than 33 years of automotive expertise and has been with JAC for over a year. He and his wife of 13 years have 3 children: Dustin, Janelle and Brennen. His hobbies include camping, traveling and RC cars. 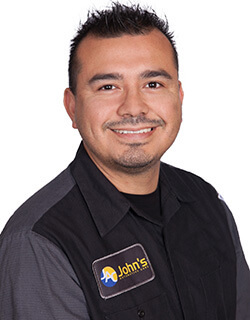 Celso, one of our Automotive Technicians, has been in the automotive repair industry since 2005. When Celso is not at work, you can find him playing soccer, riding motorcycles, or spending time with his daughter, Natalie. 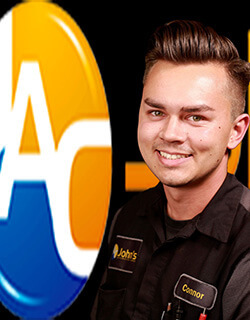 Although new to our JAC family, he is definitely not new to the automotive repair industry.